Supporter Paul Mitchell invaded the pitch in the 10th minute of Sunday's Championship fixture and struck the Villa captain from behind. Mitchell's attack came after both sets of players had been involved in a melee when Blues midfielder Maikel Kieftenbeld fouled Grealish in the fifth minute of the game. 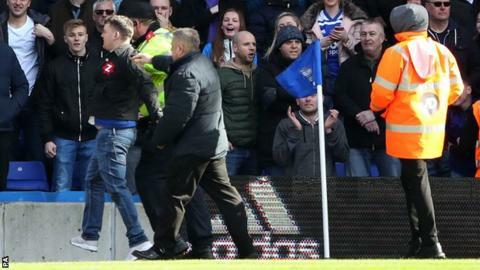 "It is alleged the club failed to ensure that its spectator[s] conducted themselves in an orderly fashion; refrained from improper or violent conduct and refrained from encroaching onto the pitch during the EFL Championship fixture against Aston Villa on Sunday," an FA spokesperson said. Extra security measures were put in place by Birmingham during Wednesday's Championship fixture against Millwall. Arsenal were charged with the same offence on Thursday after a spectator ran on the pitch and confronted Manchester United defender Chris Smalling during Sunday's Premier League game between the two sides.